You are craving for a midnight snack and you stumble on a container of coffee ice cream in the freezer. What do you do? Can you relieve yourself with the creamy dessert? Are you also worried that you will have a difficult time sleeping because of the coffee? Wonder no more, as we have the answer you are looking for. Caffeine, which can be found in coffee, soda, tea, and energy drinks, makes us awake and alert. 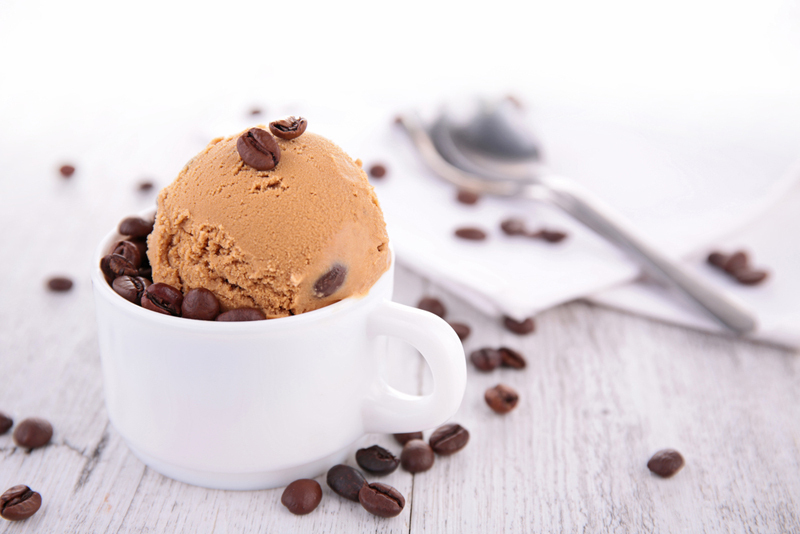 With this, you might ask: Does coffee ice cream have caffeine? In this post, we are going to talk about how much caffeine coffee ice cream has, some of its benefits, as well as the recommended caffeine intake in a day. Does Coffee Ice Cream Have Caffeine? Is coffee ice cream going to keep us up at night? Can we sneak in a scoop just before bedtime? This should not be a problem as long as it does not prevent us from getting some sleep. In this section, we are going to tackle about whether coffee ice cream has caffeine and how much caffeine is in there. To answer the above question, coffee ice cream does have caffeine; just as coffee itself has caffeine. It may seem like an excellent treat but you should be aware that it must always be consumed in moderation. Not only it contains caffeine, it is also a provider of excess fat and sugar, which might cause you health concerns over time. It is interesting to know that recipes that only use coffee flavorings instead of actual coffee are likely to contain as small amount as 1mg of caffeine. According to some studies, however, some coffee ice cream recipes may have caffeine content ranging from 17mg to 52mg per 4-ounce serving. To understand better, we have here some of the most popular brands of coffee ice cream. As a point of reference, you should compare the following caffeine content to that of actual brew coffee, which is 135mg per cup. In addition, an average cup of tea contains about 50mg of caffeine. Ben & Jerry’s No Fat Coffee Fudge Frozen Yogurt has about 85mg of caffeine per cup, while Starbucks Coffee Ice Cream has around 40mg to 60mg. Haagen-Dazs Coffee Ice Cream, Fat-Free Coffee Frozen Yogurt, and Low Fat Coffee Fudge Ice Cream have about 58mg, 40mg, and 30mg, respectively. Starbucks Frappuccino Bar has about 15mg while Healthy Choice Cappuccino Chocolate Chunk Low-Fat Ice Cream and Mocha Fudge Low-Fat Ice Cream has 8mg each. Recipes that contain a significantly higher amount of coffee also have more caffeine content and other sources such as tea and soda should also be considered as well. 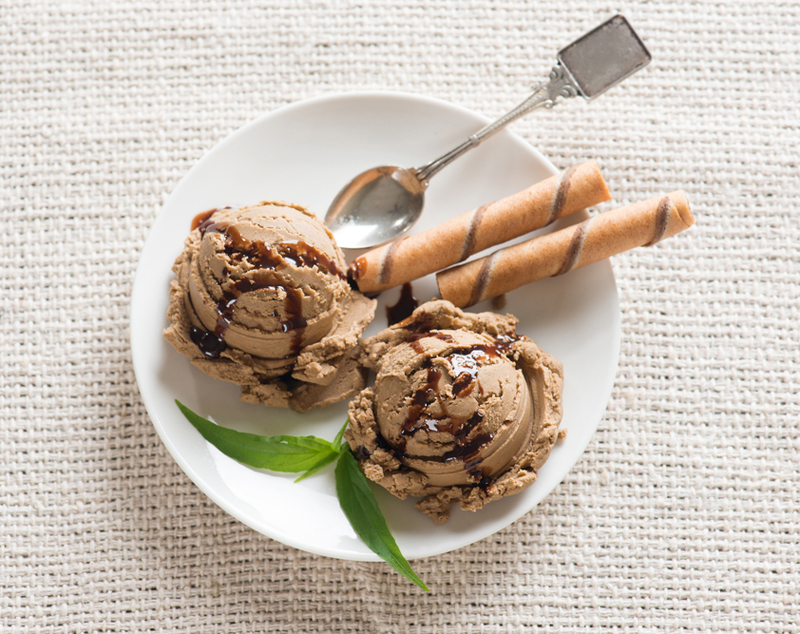 What Are The Benefits Of Coffee Ice Cream? We all love eating ice cream on a summer day, especially coffee ice cream because of its delicious flavor and little caffeine kick. Though ice cream has a lot of negative connotations due to the fact that it’s a fattening food item, there are also some very good health benefits it will be able to offer you. Ice cream, in general, is a source of essential vitamins and minerals such as vitamins A, B-6, B-12, C, D, and E. Not only that, it is also a source of vitamin K that will be able to prevent blood clotting. Ice cream also contains thiamine, niacin, and riboflavin. 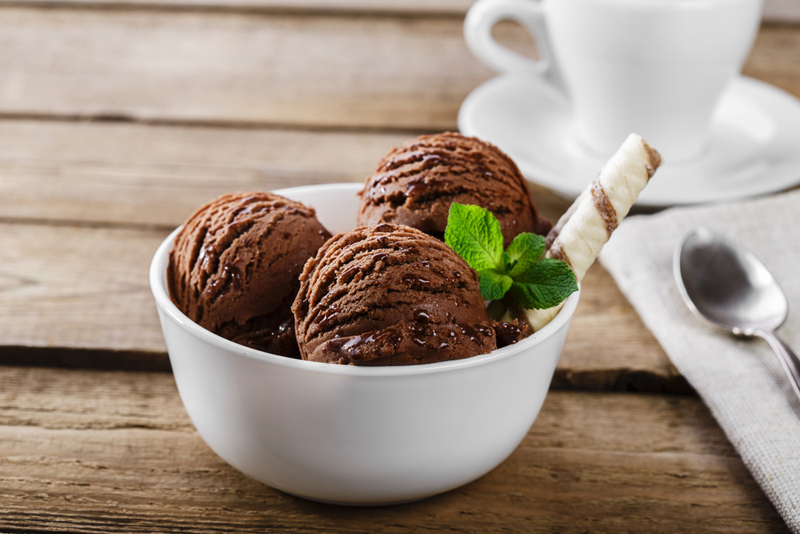 Lastly, phosphorus and calcium are found in coffee ice cream due to its milk content. 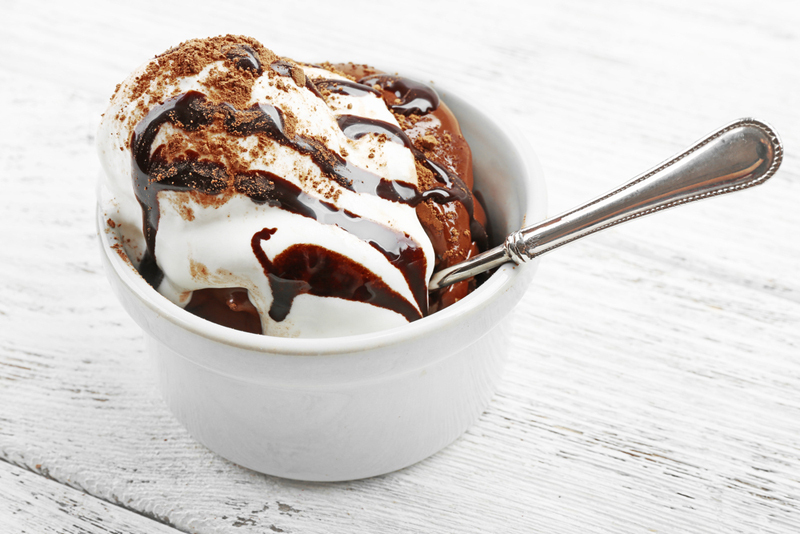 Ice cream has the ability to provide you energy to take on the challenges of the day. It is rich in fats, carbohydrates, and protein, which we all our bodies need to produce energy. As mentioned above, you just have to take these ice creams in moderation because it can also make you gain weight. Another health benefit one can get from eating coffee ice cream is that it can stimulate the brain. It releases a hormone called thrombotonin, which helps in stress level reduction. In addition, with its milk content, it also contains L-Tryptophan, which is considered a natural tranquilizer and can help prevent insomnia. What Is The Acceptable Caffeine Intake? After learning the health benefits one can get from consuming coffee ice cream, you might also have in mind what the acceptable amount of caffeine you can have at the maximum. According to studies, it is suggested that at least 400mg of caffeine is still safe for most working adults. If you like having ice cream coffee for dessert, it wouldn’t hurt. It is popularly known that caffeine is not appropriate to be consumed by children, as well as adolescent teens. This is the reason why caffeine intake for them should be minimized or forbidden. Unnecessary side effects such as hyperactivity can result from consuming too much caffeine. You should also be aware that caffeine intake is not advisable for pregnant women. Studies show that even decaf coffee still has caffeine in it and it might not be good for the health of the pregnant woman and her baby. In addition, harmful chemicals were found due to the decaffeinating processing. Coffee ice cream does have caffeine in it but in smaller amount that that of actual brewed coffee. Caffeine content can range from 1mg to 72mg per serving. Health benefits of consuming coffee ice cream include the following: it is rich with essential vitamins and minerals needed by our bodies. It can also provide you energy to be able to do your daily tasks. However, moderation should be observed, as it is a source of fattening nutrients. 400mg of caffeine is the advised acceptable caffeine intake one should have on a daily basis. However, pregnant women, children, and adolescent teens should refrain from consuming caffeine in excess.